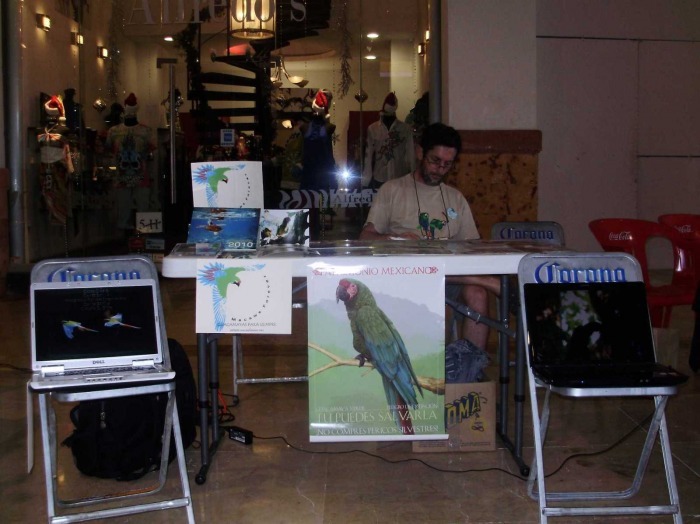 This line includes the establishment of a non-formal environmental education campaign on macaw protection and conservation in Bahía de Banderas region. The production of printed materials on the biology, threats, conservation & protection of Military Macaws. The production of printed materials on the macaw’s ecosystems and species that share its habitat, the importance of both to humans and how to conserve them. School visits, workshops and conferences. The most recent advances can be consulted in News tab in the menu. 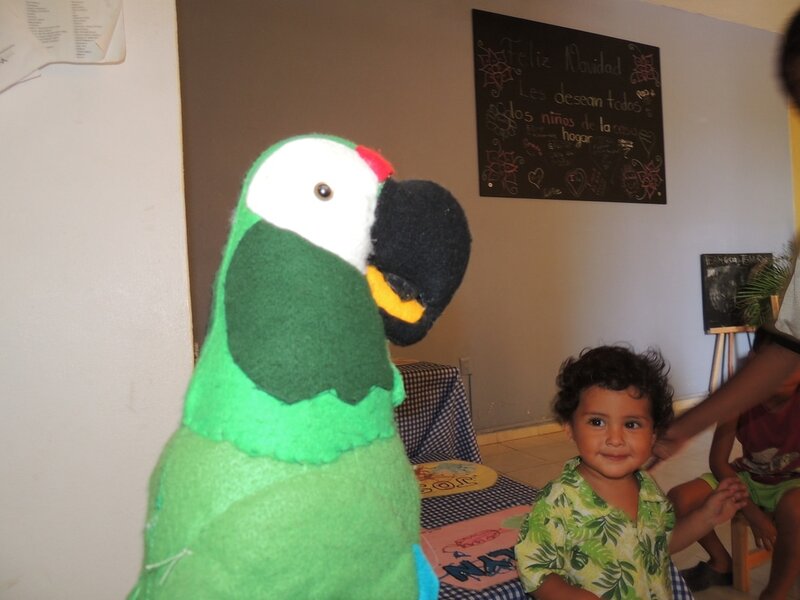 On February we visited the orphan home called “Manos llenas de amor” in Bucerias, Nay. To present to the children that live there the story tale “Arita… a Military macaw story tale”. The children were very enthusiastic and happy with the tale and the activities and games that were done after the presentation. 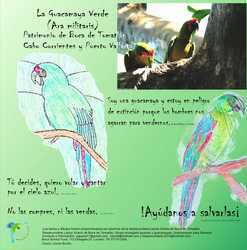 Schools have been visited from kinder to elementary school in Yelapa, and a little workshop has been done about the importance of military macaws and their conservation on the Bahia de Bandera’s region. In the Junior High School of Boca de Tomatlan, there was finished the first step on participation of voluntary monitoring students, keeping a very enthusiastic group of five students. 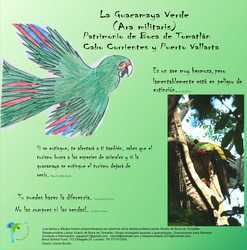 With these students and their director, a group was formed called Iguanas and Guacamayas. 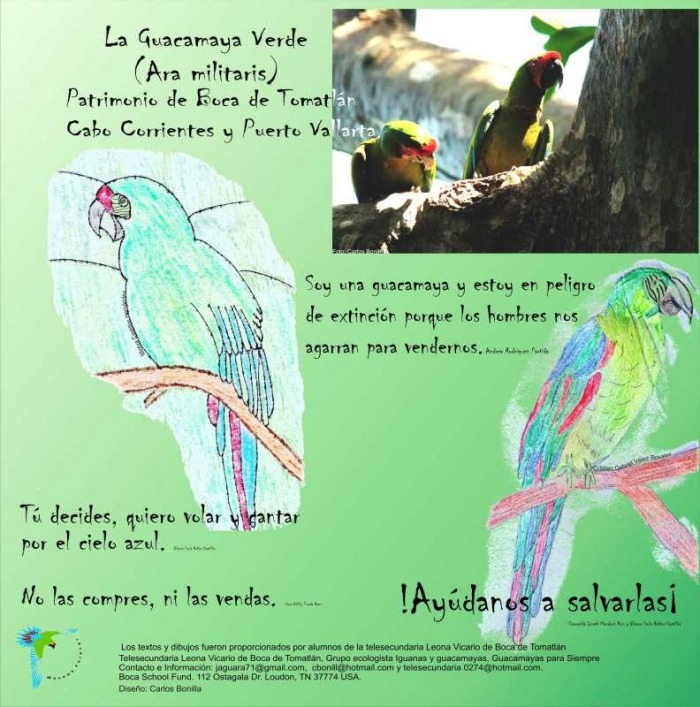 With other students and an economical benefactor, some posters have been done that shows the conservation troubles that Military macaws face and these posters will be distributed to other Junior High schools in the area. 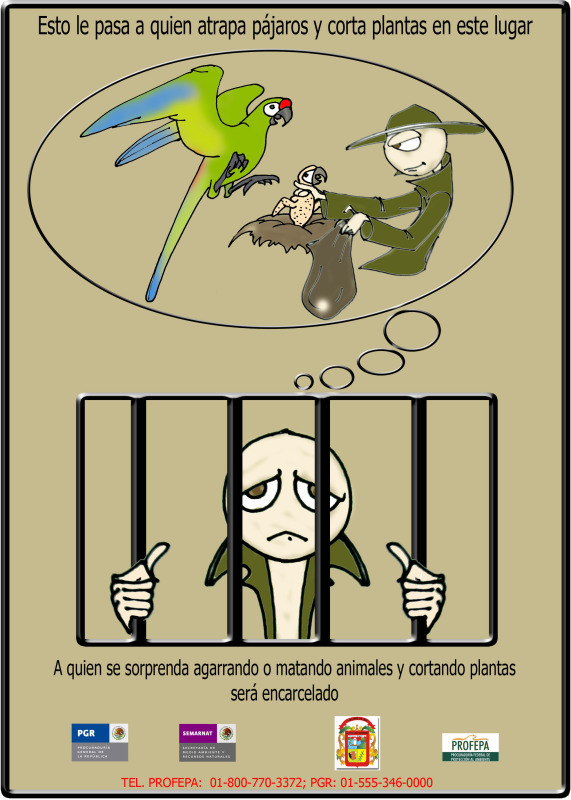 Also, with these students, PowerPoint presentations have been done about the biology, troubles and conservation of Military macaws. As well, a presentation was done about the experience that they had after being involved in this conservation project and what they learned about this species. 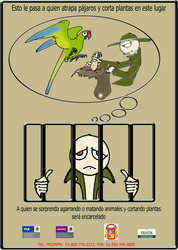 They also did a presentation about the importance of iguanas on the ecosystem. These presentations will help the students to show other schools how to care about their environment and also if some students of other schools are interested they may join in this experience. 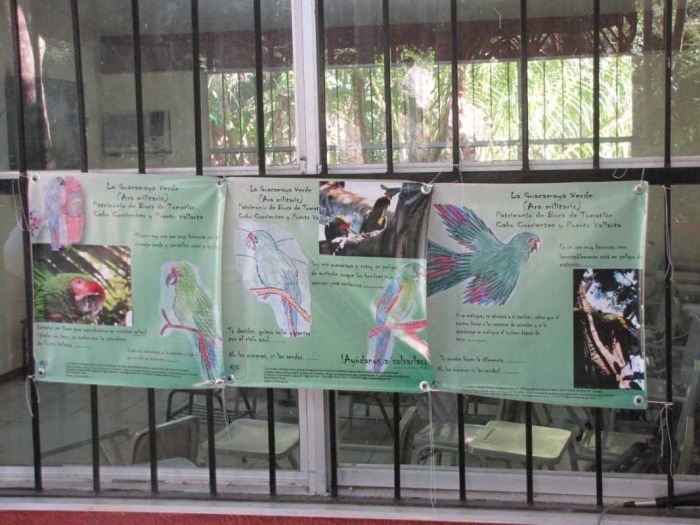 Educational materials have been made so it would be easy to give talks about Military macaws in schools and also give workshops about environmental education. 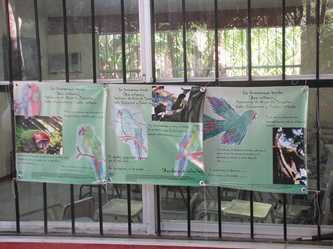 There has also been shows presented about natural resources, food webs, bats, jaguars and of course Military macaws. We have also printed materials like lottery and memory cards with flora and fauna of the regions, and masks to colour of the animals that we talked about.